For those of you who watch Dr Who, you may recognize the TARDIS. For the rest of you, I made a tiny version of a 1950's British Police Call box. This is a jewelry box I made for Amy a few months ago. It was a fun project, which I more or less made up as I went along. 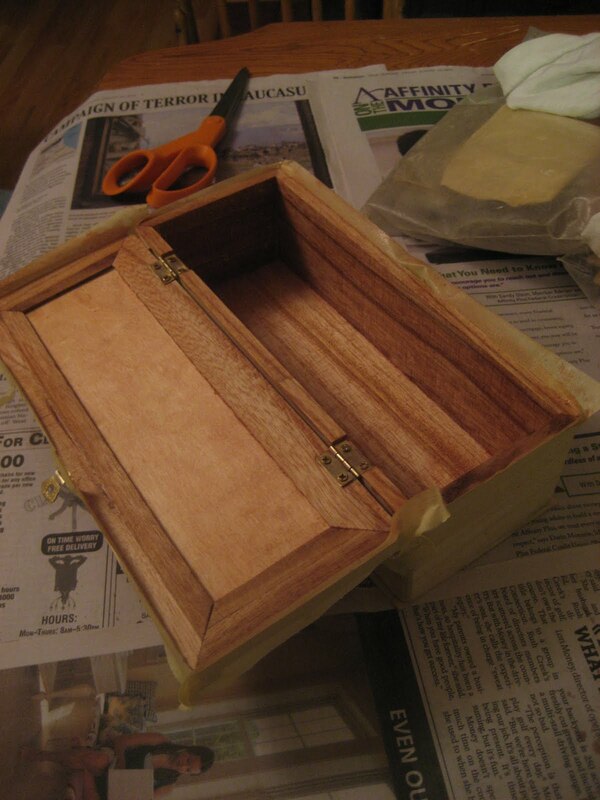 The Box: I bought a generic wood box at Michael's Arts and Crafts store. 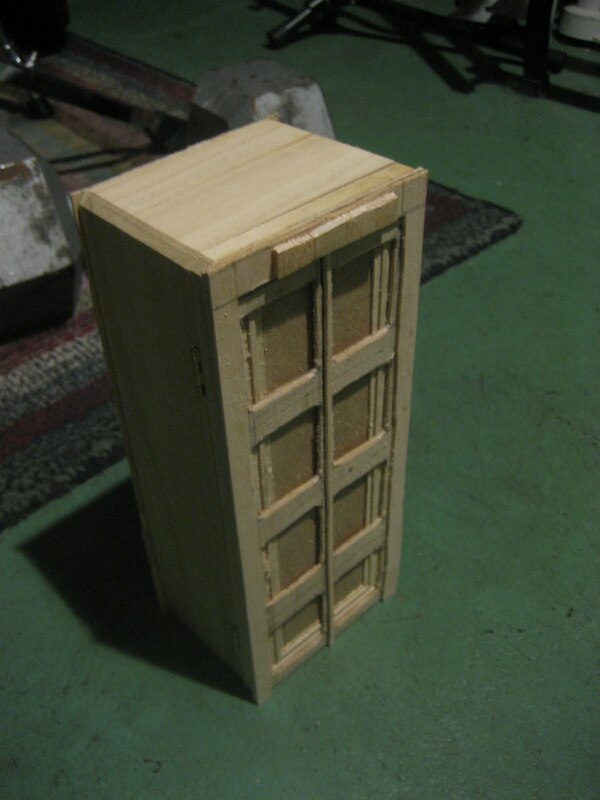 I found the one most closely resembling a 1950's British police call box, but the dimensions weren't perfect. It also had rounded edges, which I had to fix later on. Shaping the Box: My plan was two fold. Half of the plan was to add on sheets of balsa wood to make the exterior of the box. The other half was to carve into the box to make the exterior. In the end, this worked out ok, though was very touch and go for awhile. 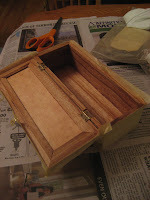 I used an x-acto knife to cut out the balsa wood, and a dremel drill to carve the box. The framing of the door (front and back) was two sheets of balsa wood, windows carved into the box, and a sheet of cardboard to fill in a depression that came pre-made in the box. 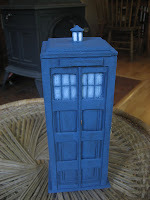 I also used thicker balsa wood to make the base and top of the TARDIS. The sheets of balsa also served to re-create the sharp edges needed for the box. 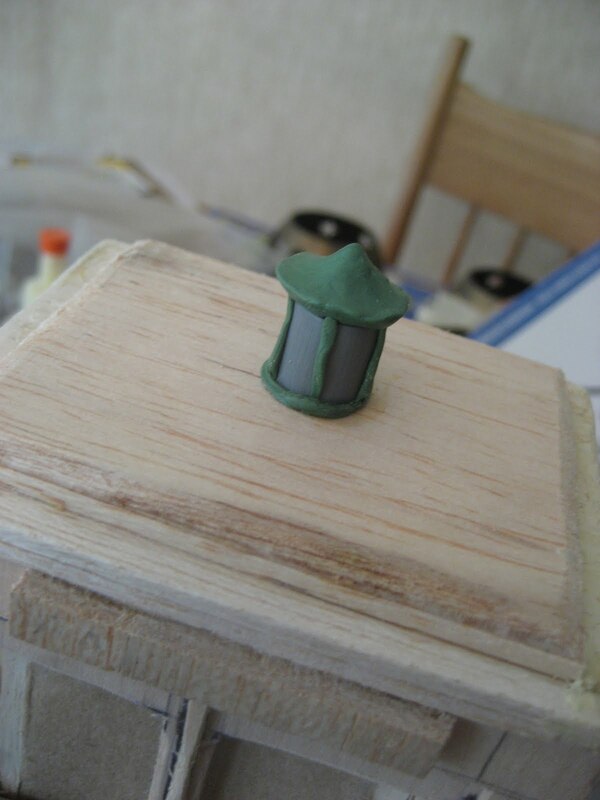 The Light: This is a round wooden bead with Green Stuff on top for the details (not that I made it very detailed). 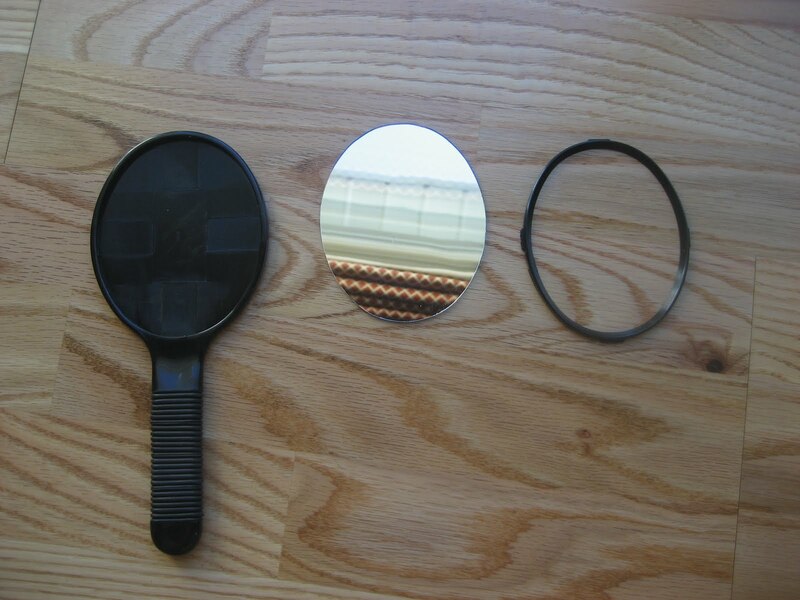 The Insides: I bought a hand mirror from Target and pulled the mirror out. 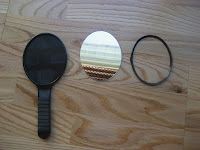 This was surprisingly hard to find, as most makeup kits and other sources of small mirrors actually have curved mirrors. Possibly Michael's has easier to obtain mirrors. 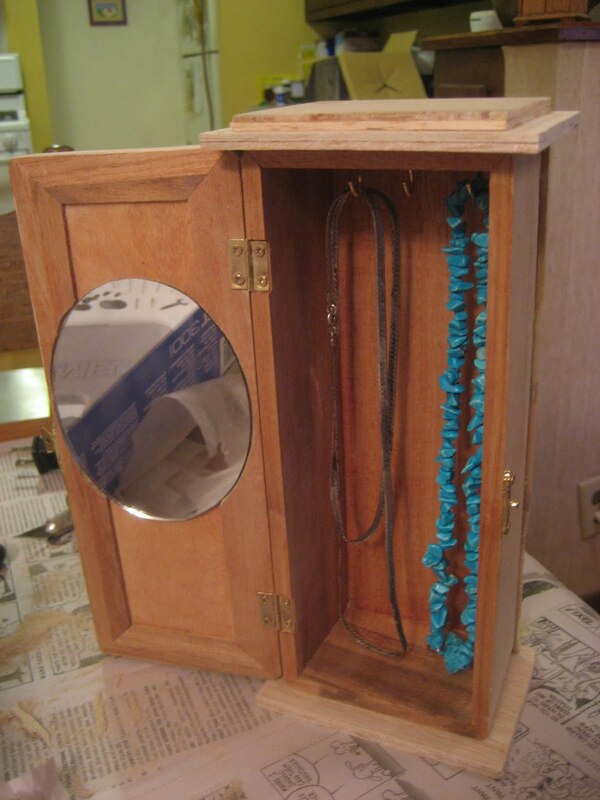 I carved a space in the door for the mirror to sit in, and then glued it in place. 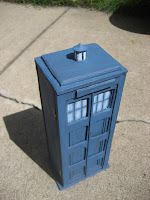 I bought hooks at Menards to screw into the top of the TARDIS for things to hang from. 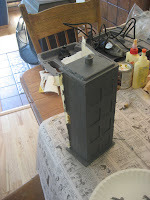 Painting: I started with a base primer coat of gray. 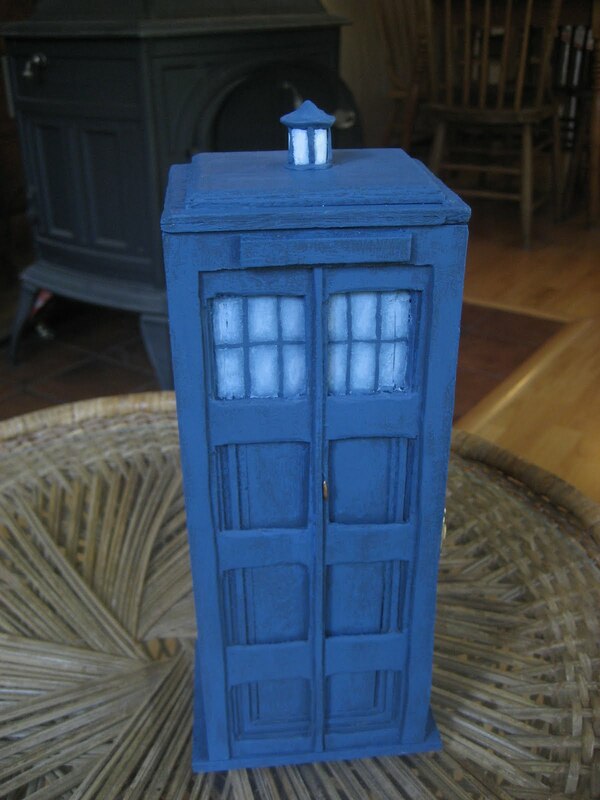 Then I painted the whole thing blue (not solid blue, leaving some dark gray recesses to keep it looking realistic). The windows got progressively lighter (added white) coats of paint layered on, with some finishing touches of dry-brushed pure white. The light on top got the same treatment. The body of the TARDIS then got a slightly lighter blue/gray dry-brush layer.